Harry Guest, a churchwarden and a J.P., was a successful building contractor who, in 1921, gave 8½ acres of land behind the schools and the church to Stourbridge Council on behalf of the people of Wollaston and in exchange for the old gravel pit at The Ridge. 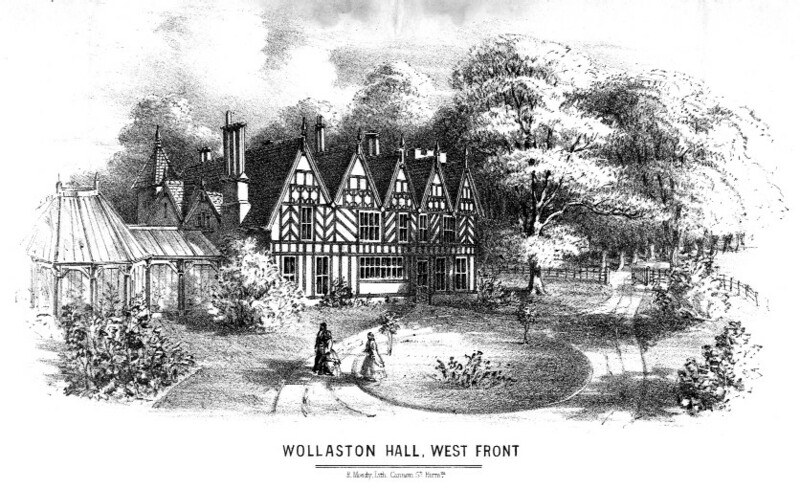 The land was often used for fetes and carnivals during the 1950s and ‘60s and was a venue for money raising events such as those to raise money for the building of what is today Wollaston Community Centre between the church and Foster Place. It was through the work of Fred Allport, a local butcher, a Stourbridge councillor and last Mayor of the Borough in 1973-4, that the building, which was originally intended for use by the ‘Old People’ of the village, was built. 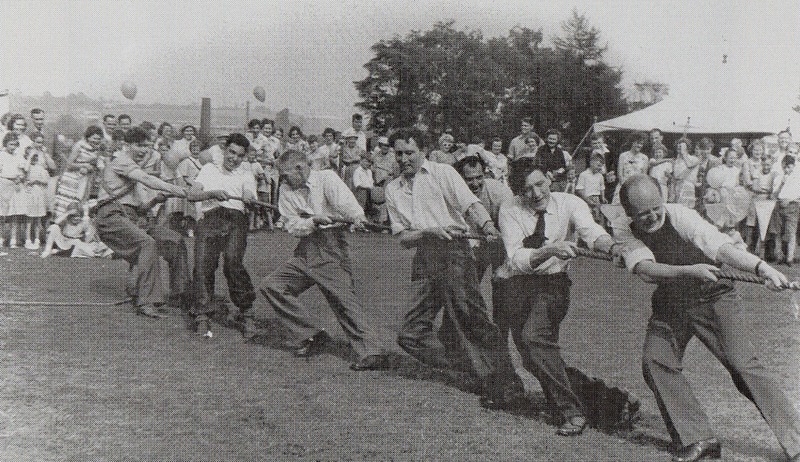 This photograph shows a Tug of War in 1958 held between teams from St James’s Church and St Thomas’s Church as part of that year’s Carnival.